Just look at this package! Not only are they all customer favorites, they're all grilling favorites, too. 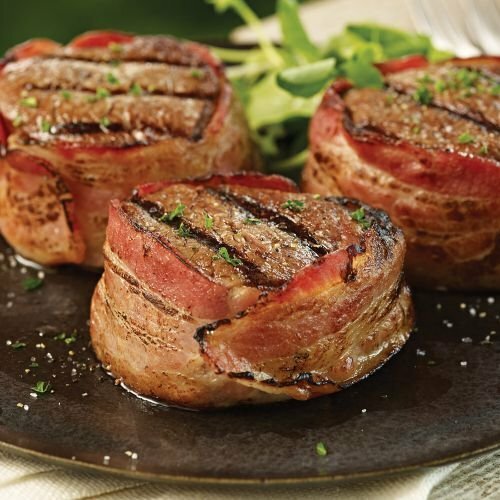 From the succulent Bacon-Wrapped Filets and beefy Top Sirloins right down to the artisan-style Old World Beef Franks with that nostalgic snap when you bite them... everything will perform like a rock star on Dad's grill! He'll love it. You'll love it. And your budget will love the FREE Shipping!